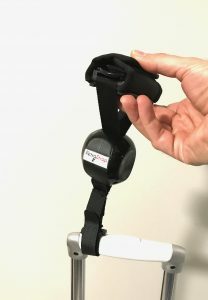 Does the RetraStrap work with my luggage? 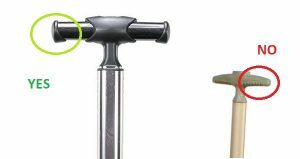 The RetraStrap attaches to the handle of most wheeled carry-on bags with the usual size handles 1/2 inch to 1 inch in diameter. It works on bags with the T handle but it depend on the shape of the handle. It does work on spinner bags, (the ones with 4 wheels) however you can only pull the bag in the tipped position. 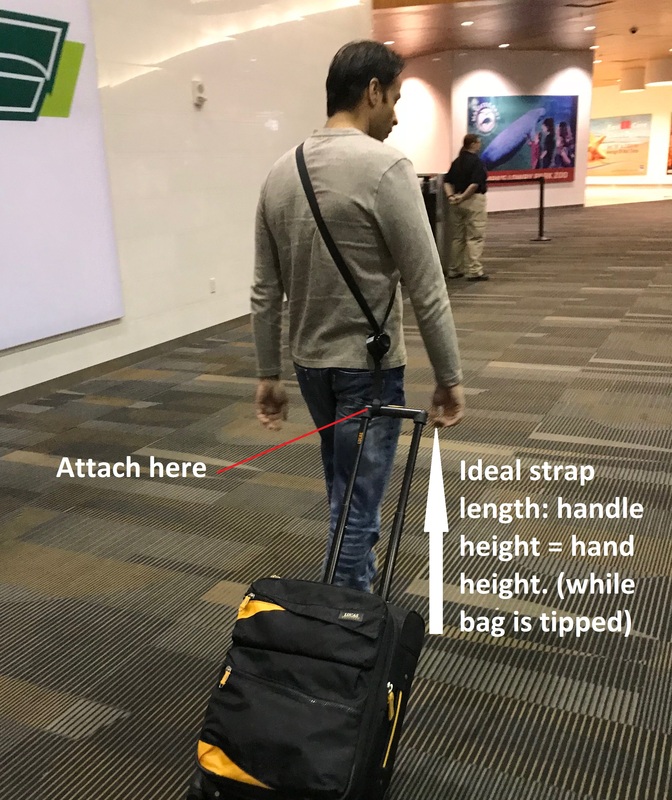 The RetraStrap is designed to work best with normal size carry-on bags, the typical ones that you take on the plane weighing between 15-25lbs. It is not recommended for the large check-in bags weighing close to 50lbs. How do I attach the RetraStrap to my bag? 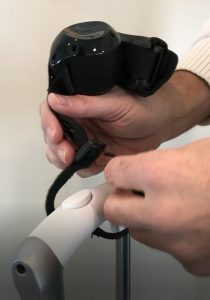 Determine the front and rear of the RetraStrap: The correct position is to have the metal D-Ring in the shoulder pad pointing upward and the buckle pointing downward when worn on your torso. 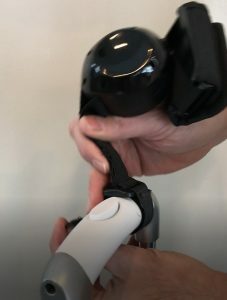 Attach the RetraStrap to the side of the handle closest to you. for example if you usually pull your bag with your right hand, attach the RetraStrap to the left side of the handle. Make sure the attachment is tight and secure. Does the RetraStrap fit me? The RetraStrap is adjustable in length to fit most size people and bags. How do I adjust the RetraStrap? Open the sleeves of the shoulder pad and pull the end of the strap to unlock it. pull or release the strap to reach the perfect length and lock it back. Fold the extra strap and close the sleeve to secure it inside the shoulder pad. The most comfortable length of the RetraStrap is to have the bag handle at the same height of your hand so you can easily grab the handle if you need to. 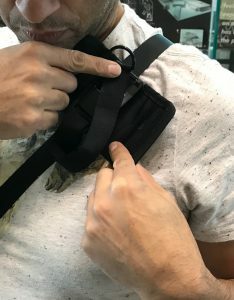 Pulling your carry-on luggage using the RetraStrap is more comfortable than using your hand constantly especially while twisting your arm to pull for a long period of time. With the RetraStrap, you are actually pulling the weight using your torso. We incorporated an elastic in the attachment to make it more comfortable while walking. The elastic absorbs the shocks and stabilizes the bag while moving. 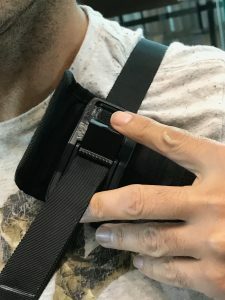 Does the bag handle constantly bump into me while walking hands free using the RetraStrap? The stability and comfort when walking hands free has been addressed carefully using a combination of three different features. The elastic (between the retraction housing and the attachment) works as a stabilizer. 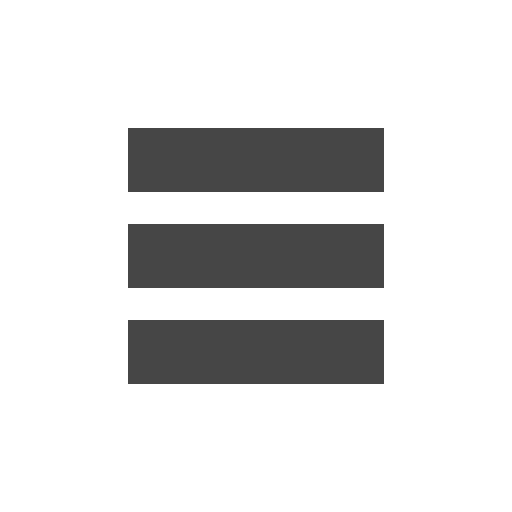 It is designed to absorb the sudden moves resulting from accelerating or decelerating when you start or stop walking as well as the up and down movements or turning left and right. (The elasticity strength is not enough to catapult the bag into the user. unless the bag is completely empty). For the elastic to work in stabilizing the bag handle, it is important to have the Velcro loop attachment pretty tight on the bag handle to keep it in place from moving horizontally along the handle. We added silicon rubber on the back of the Velcro to provide a better grip. The bag handle may touch you only when you come to a complete stop depending on how fast you’re going and how quickly you decelerate or stop. 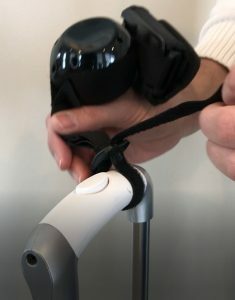 Attaching the RetraStrap tightly to the corner of the handle nearest you helps guide the handle to your side and miss hitting you when you stop walking or decelerate. the RetraStrap is adjustable so you can set it to the most comfortable length. Make sure it is not too short so it stays far enough from you when walking. Running is not recommended while pulling the bag behind you hands free using the RetraStrap. always use caution. Does the Bag flip or tip over while walking? what about curbs and stairs? Pulling the bag using the RetaStrap is similar to pulling it by hand. Same angle, same point of contact, same strength and speed. Which means same maneuverability. The bag follows you and turns when you turn (up to 90 degrees). Most of the times when your bag tips over is when you try to put it in the upright position and trying to balance it. With the RetraStrap, you don’t need to park the bag each time you stop to take a break or when you need both hands. Tip: Whether pulling the bag by hand or using the RetraStrap, always pack your heavy items as close as possible to the bottom of the bag above the wheels and the lighter items on top. This weight distribution is best for balancing the bag when in the parked position, and it feels lighter when pulled. Going up or down the electric escalator while using the RetraStrap may require you to park the bag in the upright position. The RetraStrap makes it safer by keeping the bag from falling down on other people below you. You can easily step down a curb without reaching out for your bag and the bag does not tip over. Always make sure you approach the curb perpendicularly with both wheels at the same time to keep it balanced. Going up the curb may require you to pull by hand depending on the weight of the bag and the height of the curb. You do need to carry the bag up or down regular stairs but you don’t have to remove the RetraStrap. Always pay attention to other people and objects around you when walking, it is so easy to forget that you have a bag behind.